This website would not be anywhere near what it is today if not for the help of a great many people. This page is to give a shout out to all the people who have helped make this site what it is. If you'd like to donate something, please e-mail me at ericupp@gmail.com or post it to The Old COSI facebook group. 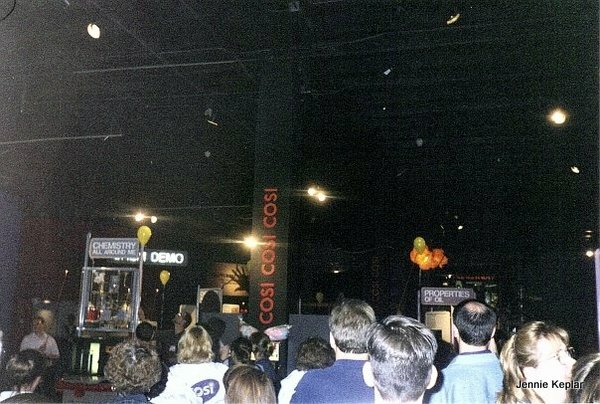 A few months after starting this website, I saw several COSI pictures that Douglas had posted online and asked to use them. I never imagined what that would lead to. At the time, this website was opperating with a minimial number of photos (relative to what something like the Virtual Trip needed), there were issues with the design, and large ads appeared at the top of every page. Douglas provided tremendous input on ways to improve the site, found/scanned all kinds of additional information I never knew about, and had a number of great ideas for the future. He started hosting the website free of charge (which eliminated the ads). He designed the image seen on the main page when you first come to oldcosi.com and found the more decorative image that pops up when you click Virtual Trip. Pictures he contributed and/or found (through the Columbus Library, EBAY, and a lot of checking around) can be seen throughout the website. 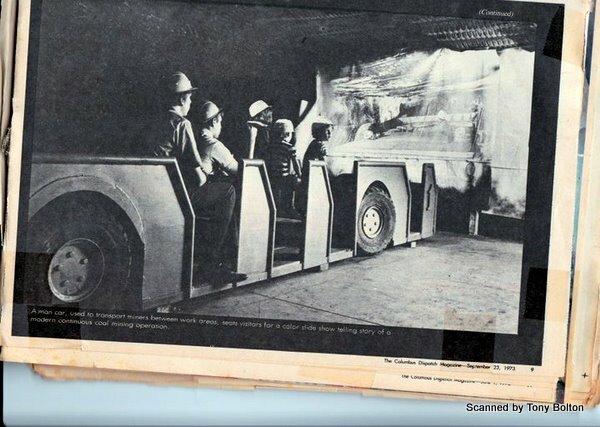 Douglas went through and scanned a number of pictures from old COSI annual reports. He also found the old articles: Coal Mining has Deep Routes Here, and COSI at 30. He even visited Memorial Hall and took pictures from the inside as it looks today. If not for Douglas, I probably would have given my last update on this website long ago and forgotten it. Thank you Douglas. 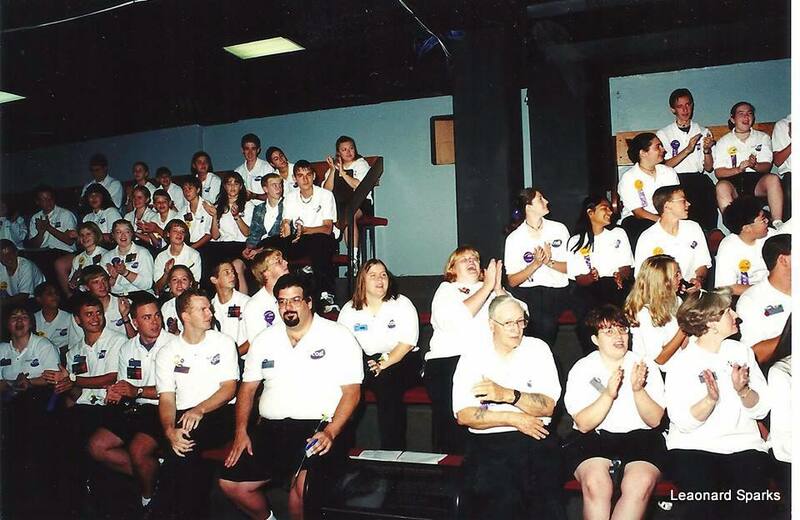 David Hutchison: David worked at COSI and as part of his job, took hundreds of pictures. He contact me offering to meet and share what he had. I'm not going to list everyone that's on here as there are so many, but his pictures now occupy every floor, outside, and things as diverse as a time lapse construction of the new building. There are more pictures of David's on here than anyone else and I don't think it's even close anymore. I can't thank him enough. 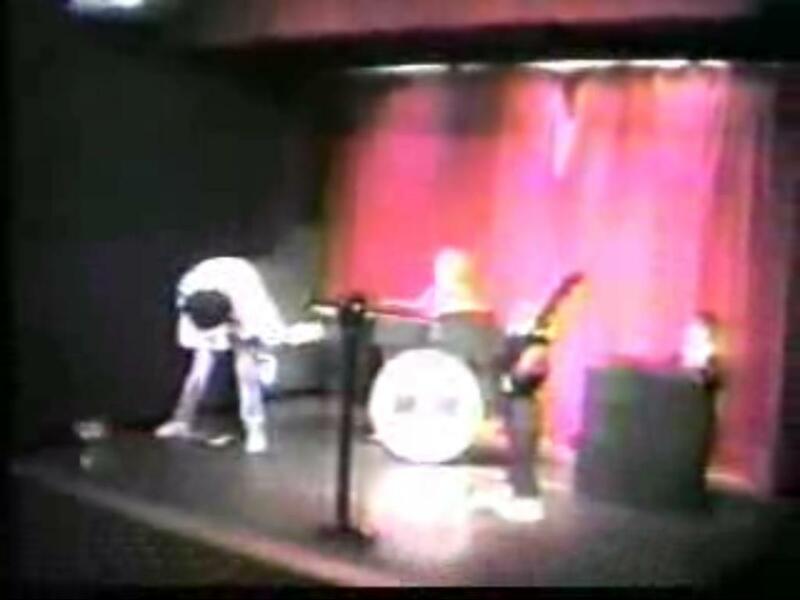 Andrew, Josh, and his mom: Thanks for letting us put a video of Josh singing in the news booth and rock band room. 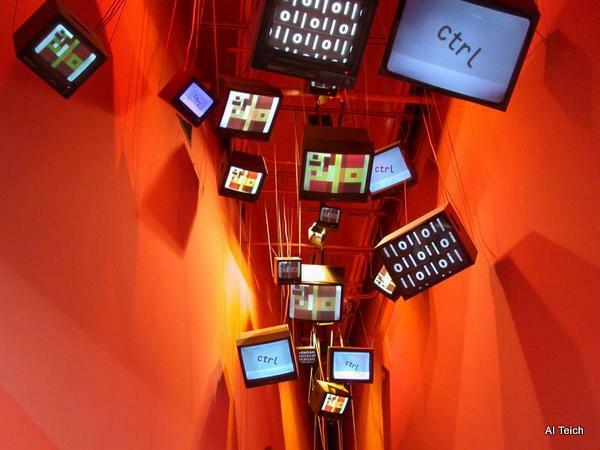 The video definitely takes us all back and is the best from that section of COSI by far. 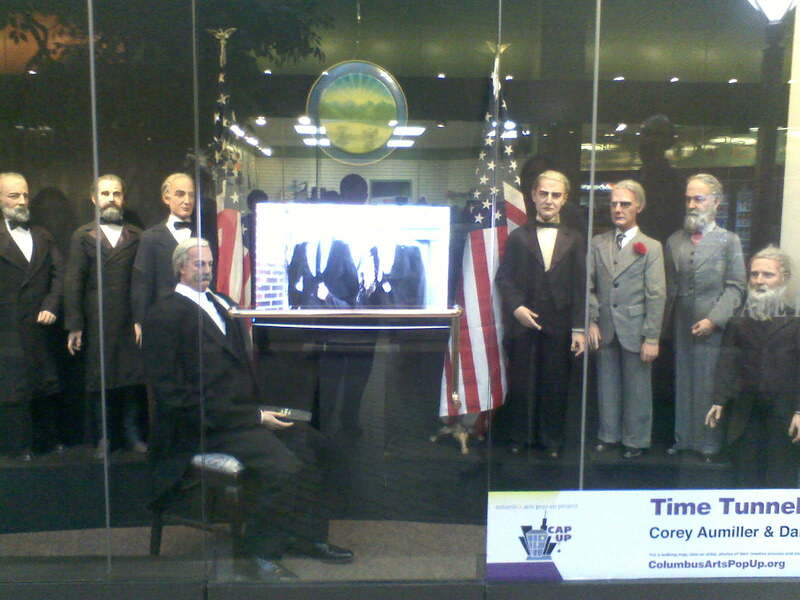 Corey Aumiller and Dan Gerdeman: Corey contacted me a few years ago wondering if I knew what became of the former COSI presidents exhibit. I didn't know much besides that a few had been sold on ebay and the pictures I had received afterward. 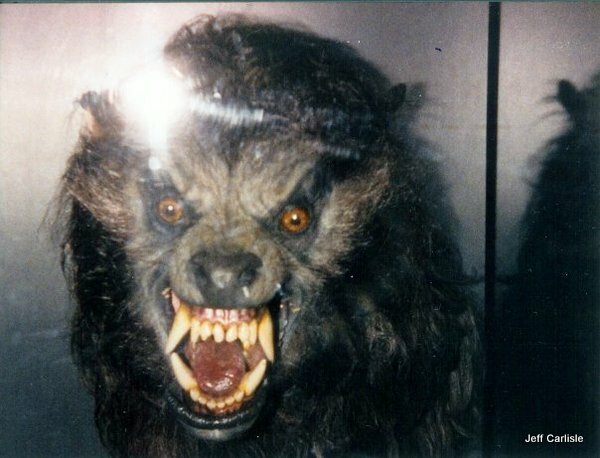 Corey tracked them down, restored a few of them with Dan Gerdeman, and set-up an amazing display that was downtown. Erin Iesulauro Barker and Ed Young's Ed Young took this picture which sat just outside the planetarium for a long time. 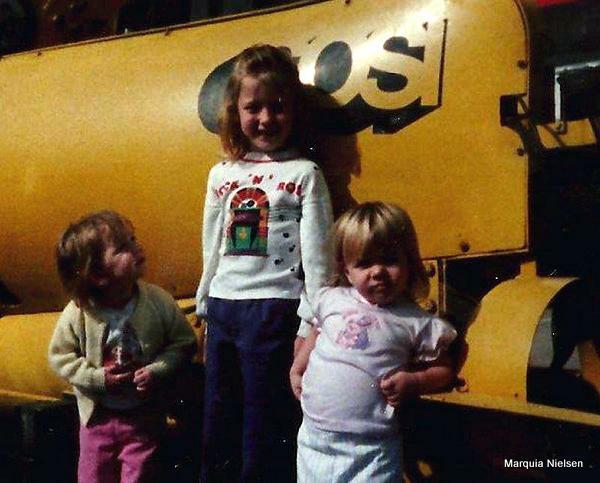 Two of the girls in the picture were Erin's cousins and her uncle took the picture. 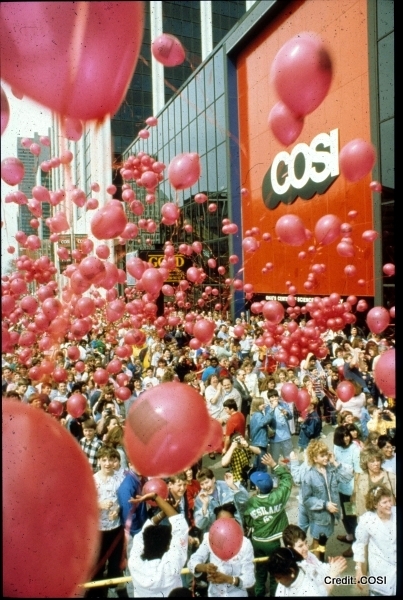 When COSI closed, an 8x10 proof was found by Kate Storm and given to Erin. Thank you for one of the best pictures on the website. 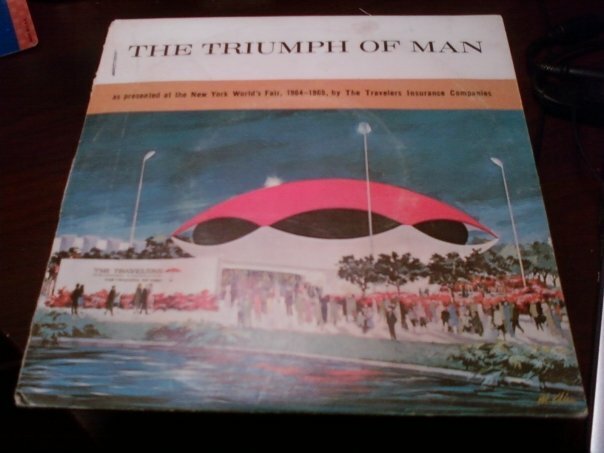 Scott Bolderson: Scott told me about the record for The Triumph of Man that was released for the World's Fair. 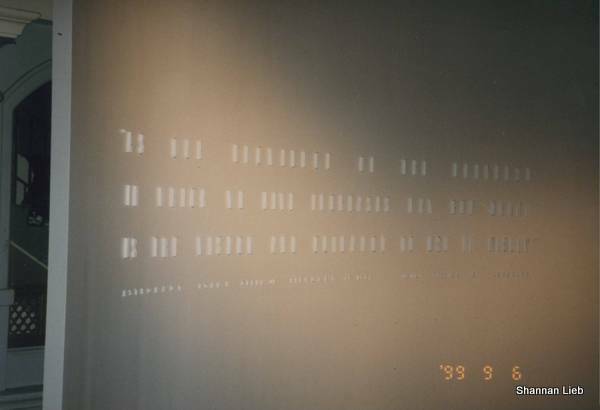 He scanned all the pages of the record, and they are now up on the site. Berta Burnes Berta posted scans of the oldest map on this website so far (1978) and a picture of the alumni from the 60s. 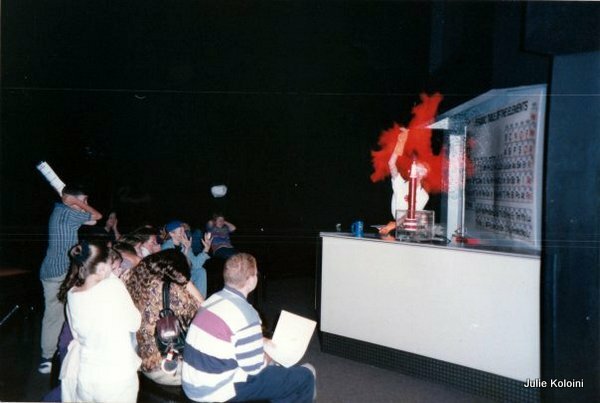 Jeff Carlisle, Special Effects: The Science of Movie and Television Magic, and James Sawyer Jeff Carisle set up a Facebook page for this exhibit which visited COSI in 1989 and traveled around the country. He put his own pictures of the event up on the group and collected a few others including one James Sawyer put up on Facebook. If you ever see anymore of the event, please post them to Jeff's Facebook group as his posting is the only reason any pictures from this event are easily found. 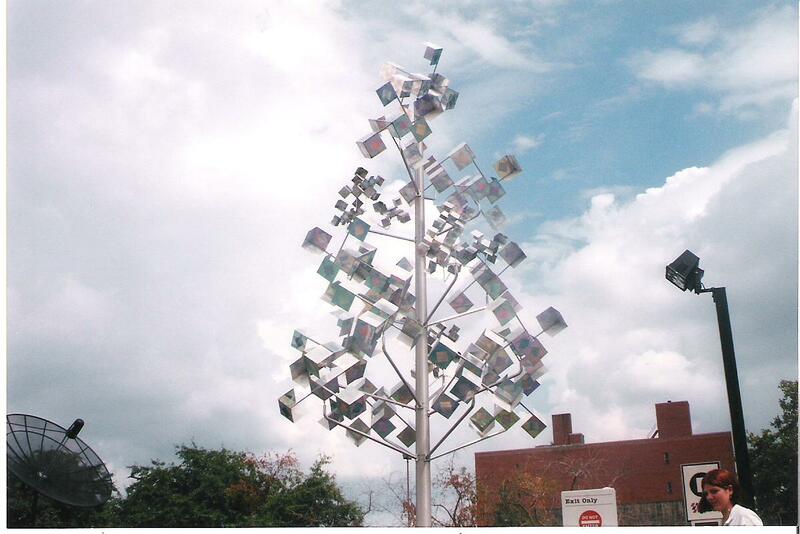 The Columbus Dispatch: Thanks for keeping old articles up online. They helped with information, especially in the history section. The pictures you have taken over the years were also a great help early on with this website. 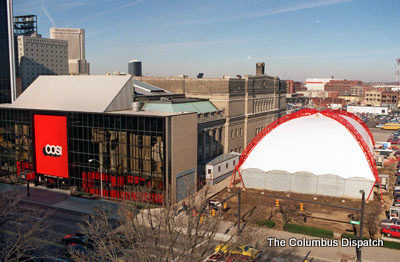 Columbus Library: The library keeps a lot of old pictures saved online. 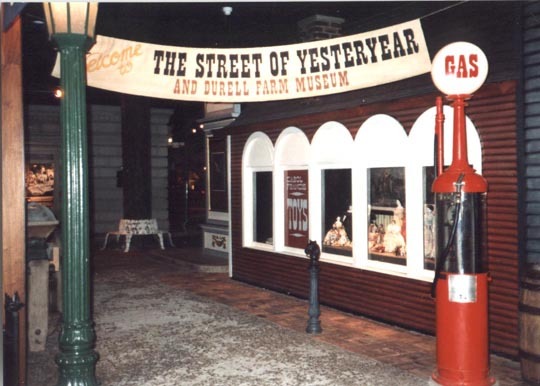 Douglas Reedy directed me to them, and they have served to greatly expand what I could put on the site (especially in the Street of Yesteryear). There are even more online than I have used, so I suggest everyone visit and search for both COSI and Center of Science and Industry. 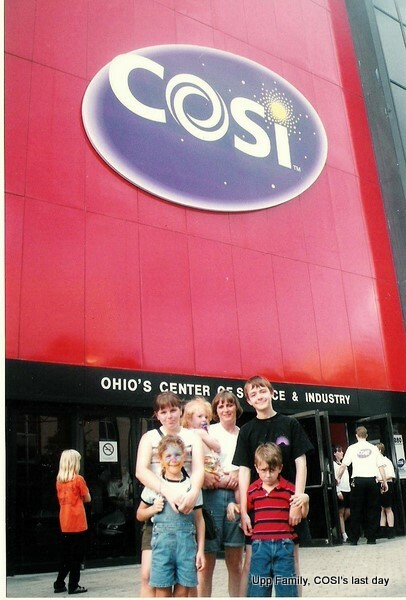 COSI First thank you for the many wonderful memories that are still created today. Also thanks for allowing me to use pictures. Susan Everly Susan donated a cookbook which is now on the website. 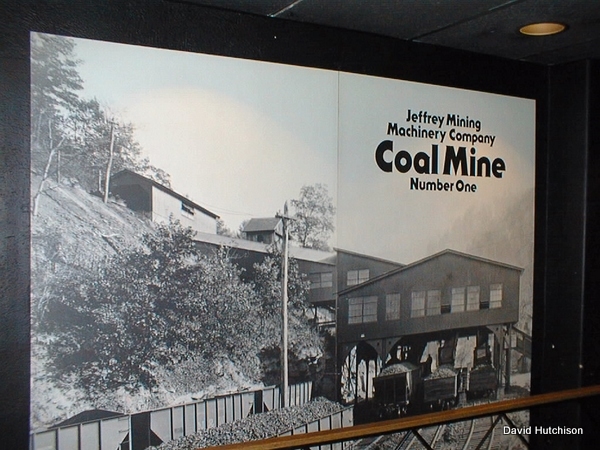 Robert Finnerty He found not only the name of a song played at the entrance to the coal mine, but the specific version (sang by Chad Mitchell in the 60s and written by Merle Travis in 1947). He also donated several pictures. 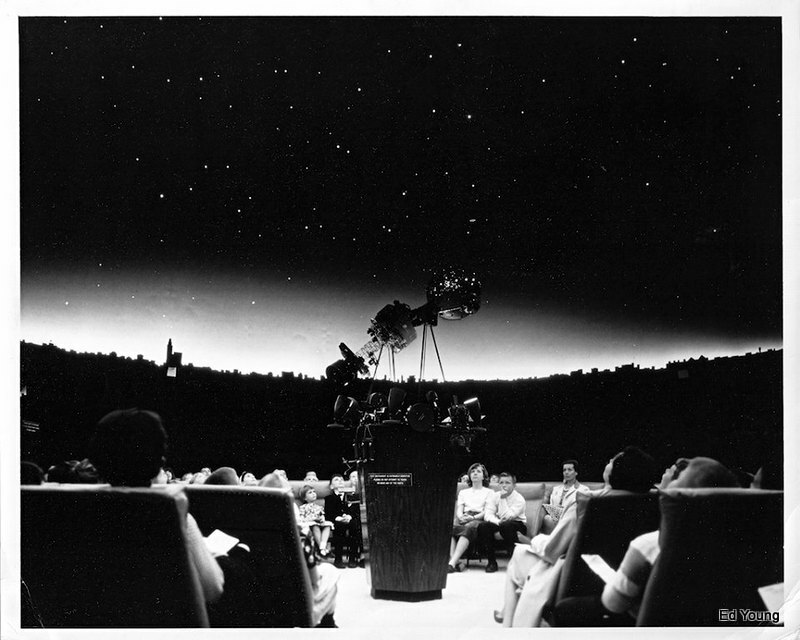 Geodesium: Thanks for permission to use your music as the background music for the Battelle Planetarium. I encourage everyone to check out the rest of their music at http://www.geodesium.com. It is great. Thanks again. 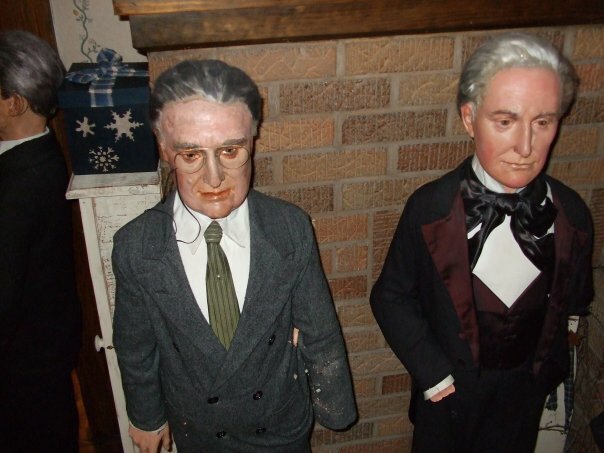 Ben Heckman: Ben posted pictures of the presidents after they left COSI to the Facebook group. It's interesting seeing the shape many of them are in up close after so many years of use. Thanks Ben. 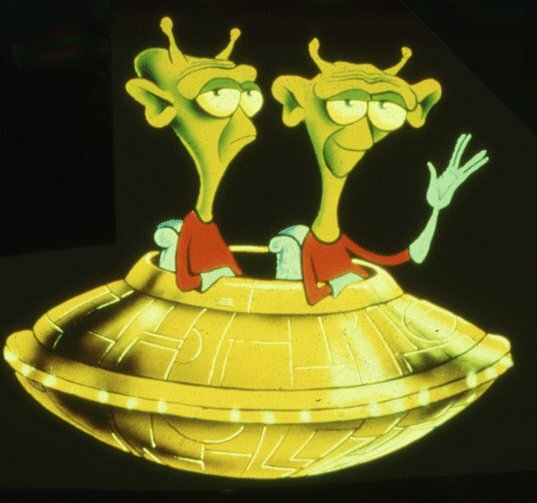 Michael Hess: Michael posted a picture of the aliens that were on the projector in the planetarium to the Facebook group. Thanks Michael. Jennie Keplar: Jennie was one of the first people I heard back from who liked the website. She suggested that I read the Memorial Hall history book, made several comments about pictures on Facebook (which gave me valuable information about the way some things worked I had forgotten or never knew), and let me use a lot of pictures. 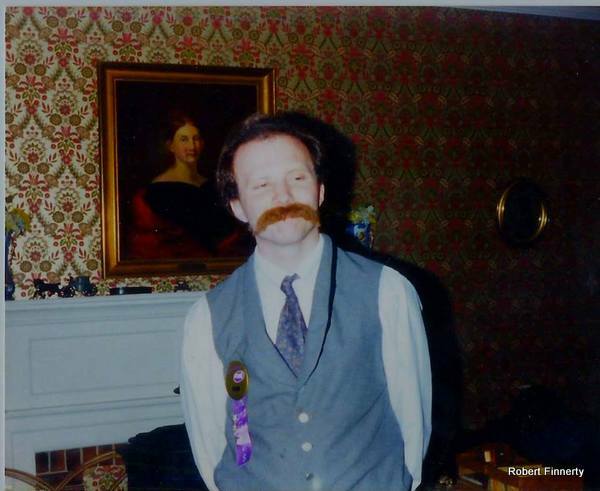 Other than a very small handful I found before starting this site, they were the only pictures I had other than ones from my family, and they added a lot. The Jennie airplane and Volunteer Party pictures come entirely from her. Many pictures from the closing ceremony come from her. Other pictures she let this site use include a picture from the Solar Front, the Elephant Closet, admissions, and the main part of the 1st floor. 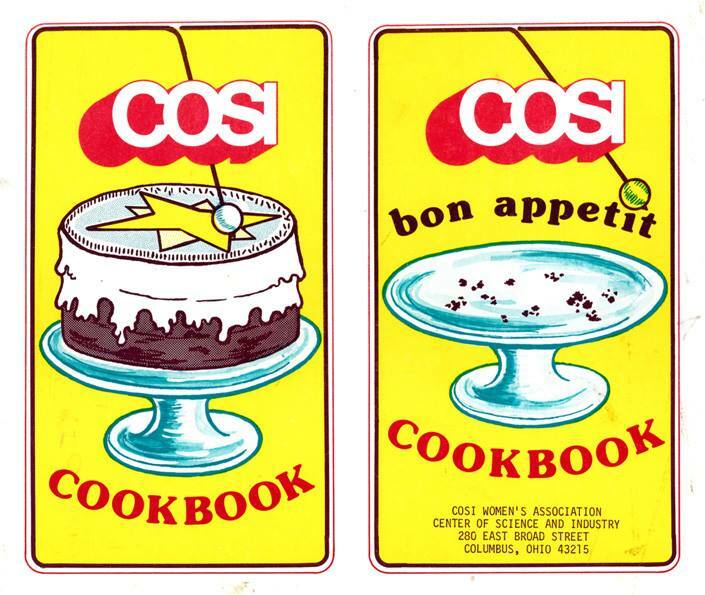 Some copies of the COSI annaul reports she scanned are on the website. Thanks a ton Jennie. 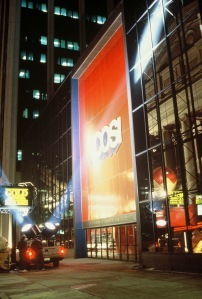 Kim Kiehl: Kim wrote an excellent blog post about COSI's past and future and allowed me to use a neat picture of COSI from outside at night. Thanks Kim. 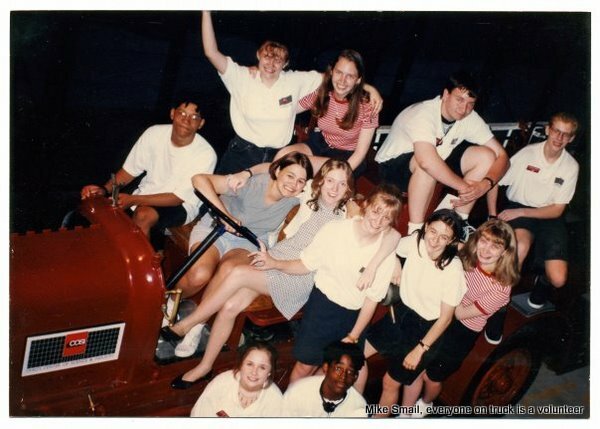 Julie Koloini: Julie posted several pictures to the Official COSI Alumni group which she let me put up on this site. 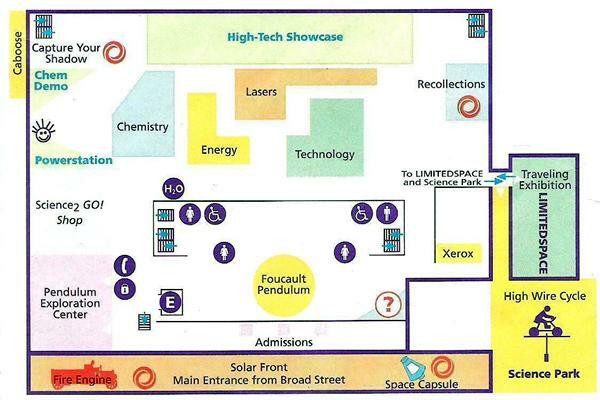 They included shots from the chemistry show and the electrostatic generator. Thank you Julie. Shannan Lieb: Shannan donated a ton of pictures which filled in a lot of empty spaces on all 4 floors and provided the only pictures I've seen of a lot of the non-public places. She also answered a number of questions about different areas. 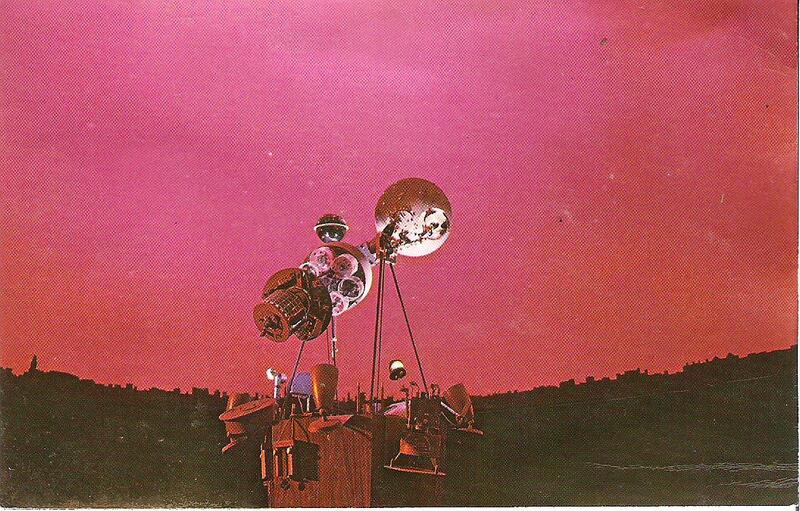 Aaron Marine: Thank you for giving me information about the music that played in the Time Tunnel and planetarium. Gwyn Miller Thanks for the information about the vehicles from the COSI Facts Quiz. 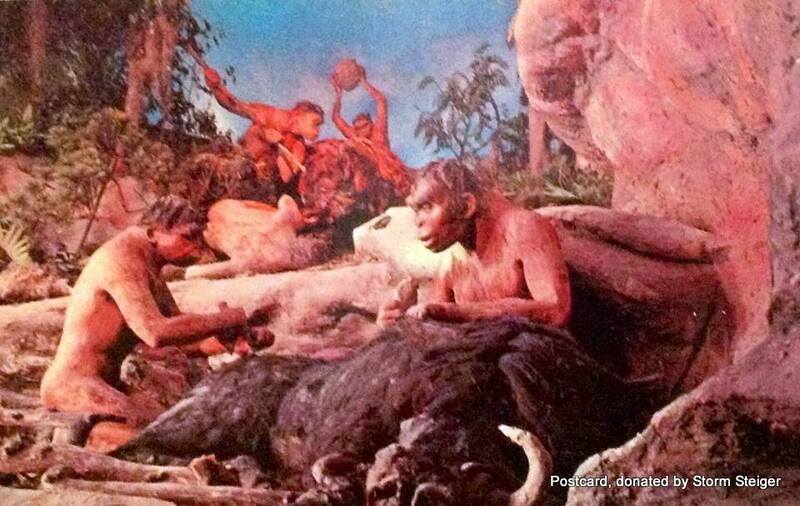 Marquia Nielsen: Marquia posted several pictures of her family at COSI. 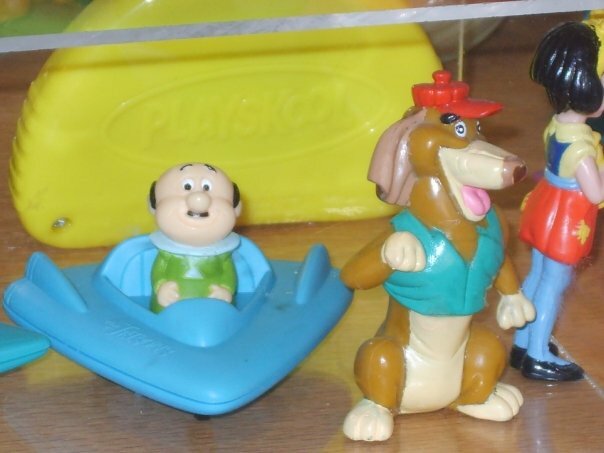 These include the only picture in front of the submarine that I have. 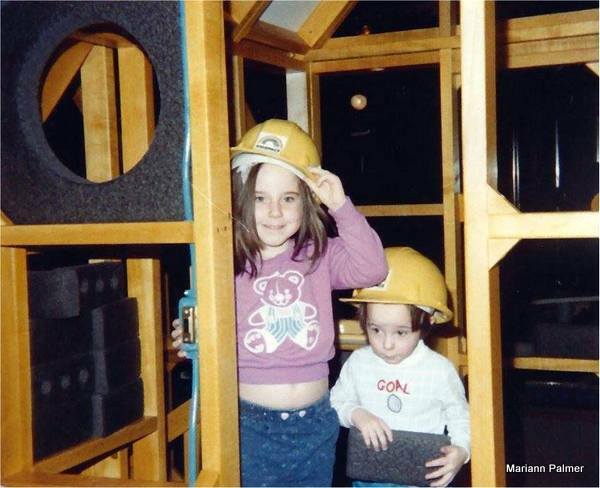 Mariann Palmer: Mariann contributed both Two videos from 1988 (the oldest videos I've seen by far) and a picture in Big KIDSPACE. 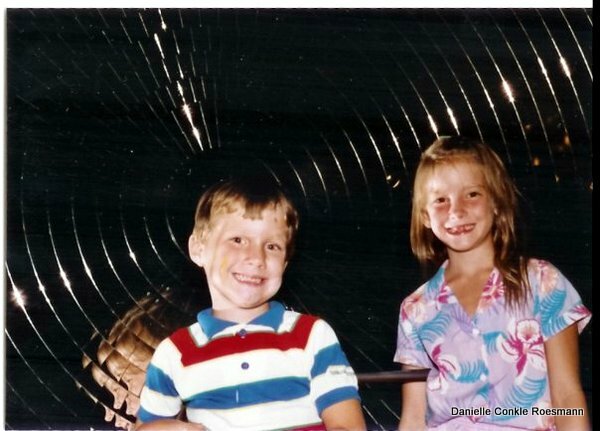 Danielle Conkle Roesmann: Danielle was one of the earliest to post to facebook group with the wonderful picture above. 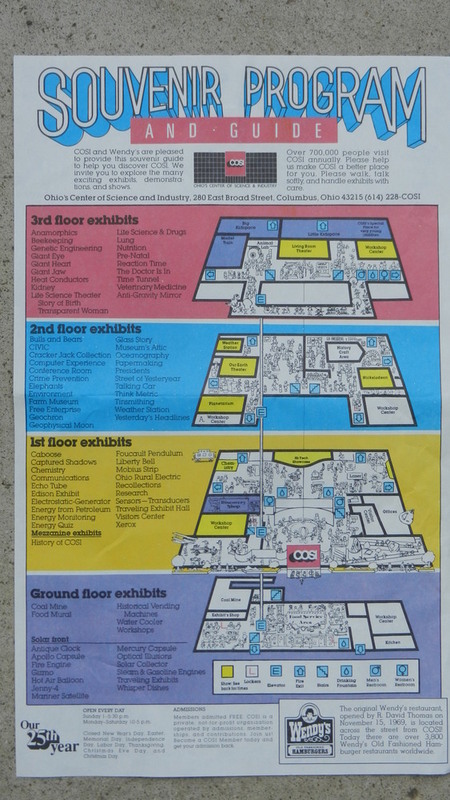 Lynn S. Thank you for sending me the 1989 map and 2 pictures of gift bags in the gift shop. Mike Smail: Thanks for one of the best pictures on the site, the fire truck picture with a lot of volunteers on it. 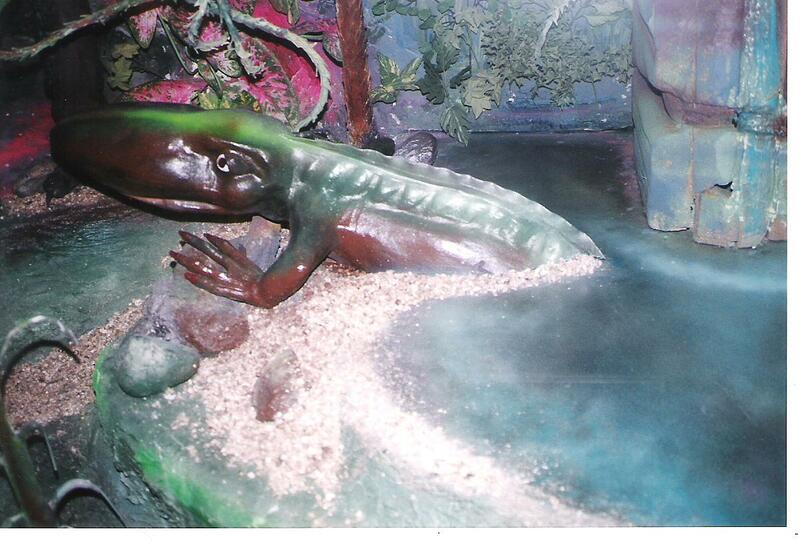 Also thanks for information about the music in the Time Tunnel and Planetarium. 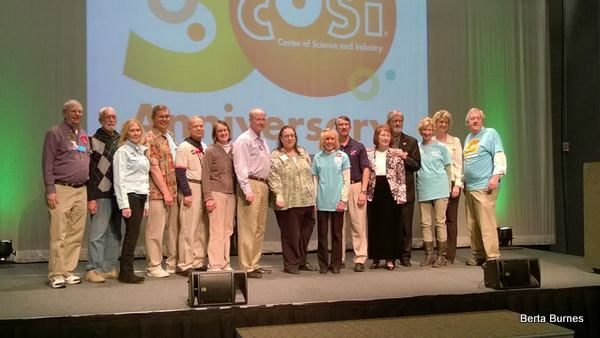 Leonard Sparks: Leonard has been working with volunteers and taking pictures at COSI a long time. He had a tremendous amount of pictures out for the 50th anniversary and has uploaded many to the Facebook group. Several of them are now on the website (but not all). Squirtman and Rubbertoe: Squirtman used to have a show that aired on community TV and which can still be found on YouTube or at his site. Rubbertoe set up the YouTube account and helps run things. 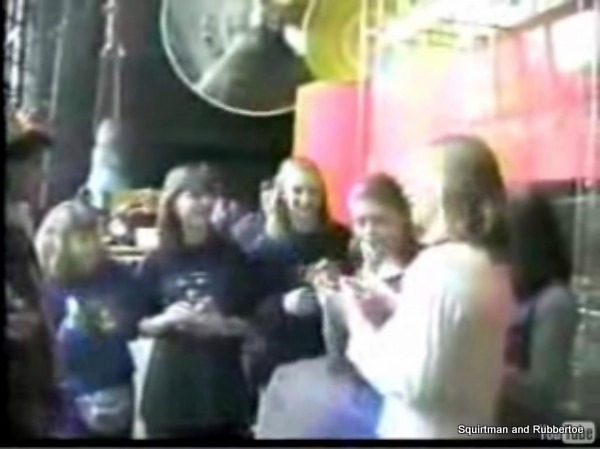 They posted what, for a long time, was the only video video of the old COSI online. In the early days of this site, that was very priceless as there was many holes that could only be filled with their images/video. Those images are still around the site. Thank you Squirtman and Rubbertoe. Without you guys, this sight would have been a lot emptier. Storm (Thompson) Steiger Storm had several postcards she had posted online which are now around the site. Myron Stewart and Miriam Leland: Myron and Miriam worked together on creating the COSI Facts Quiz an actual quiz used for employees and volunteers at the old COSI. Thanks to that donation and the answers (well, all but two), we now have a kind of scavenger hunt around the website. All the answers are on the website somewhere in black (except when noted otherwise by question). Thank you Myron and Miriam. Dave Taylor: Dave pictures are now literally all over the sight. He went around the country taking pictures of various science museums over a large number of years and stored them all online. 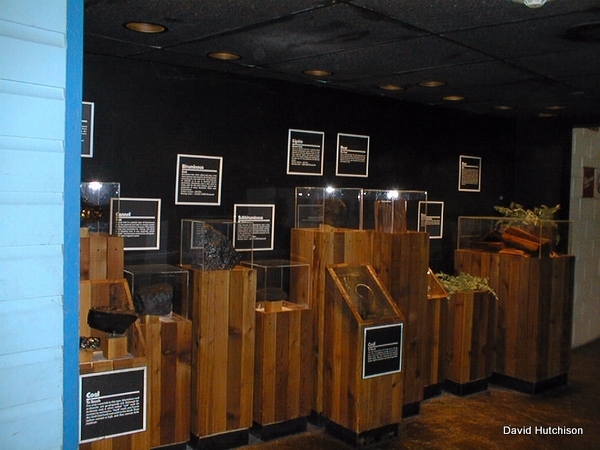 Sadly he passed away several years ago, but his memory hasn't and his website is kept online by the Pacific Science Center. Thank you Dave and Pacific Science Center. Al Teich Pictures from i/o were few and far in between and Al had the best one I've seen anywhere. 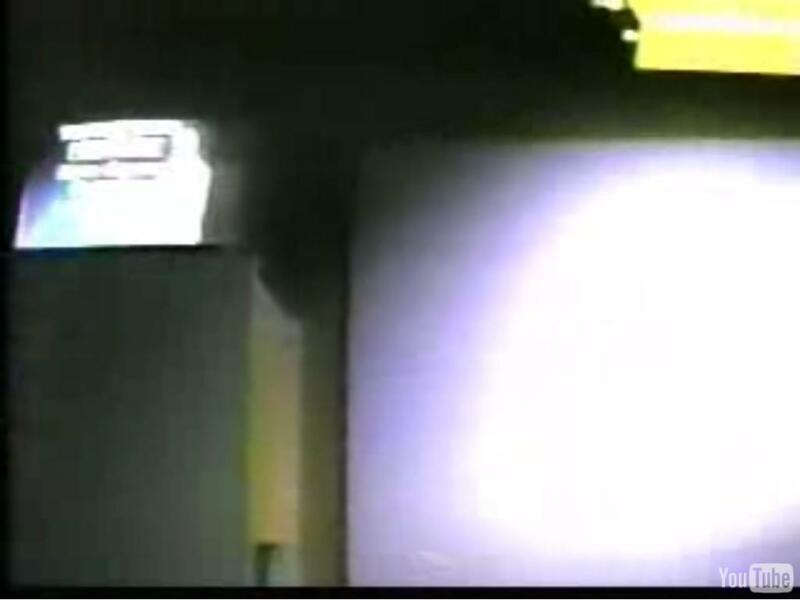 Jeff Tilton: He posted the best video I have seen by far from the old building going all around COSI in 1999. Brad Waldsmith: Brad was one of the earliest people I heard back from about the site and his comments were greatly appreciated. Later, he had the idea of setting up the COSI fan page, which turned out be a fantastic idea. Thanks Brad. Lena Welch: Lena contributed one of Cyro's last pictures. 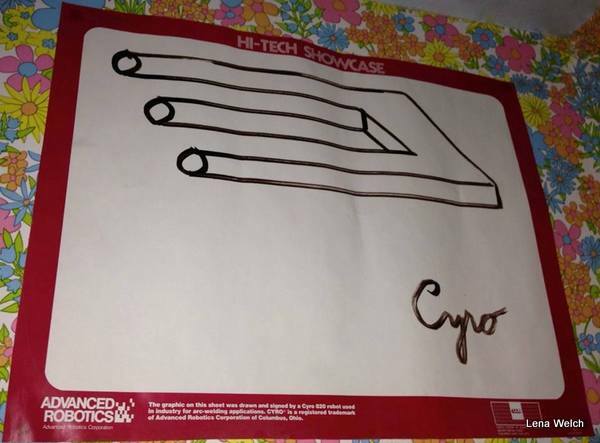 Lena had him draw it right before Cyro stopped performing due to too many errors in his pen pressure. She also posted up many great pictures from the 50th anniversary. Kori Upp: Thanks for uploading the pictures of Wendy's for me. 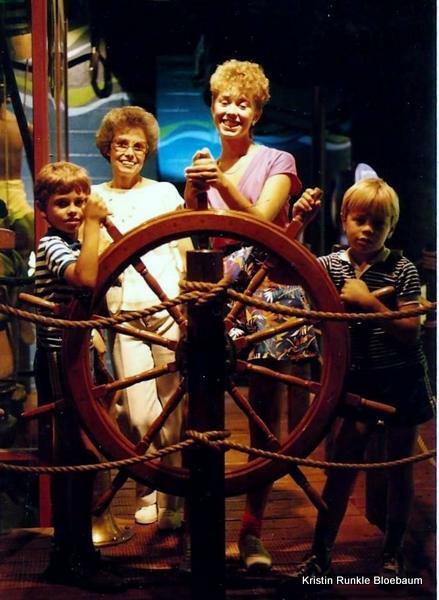 Martha and Dave Upp: Mom took me to COSI pretty much every birthday until it moved as well as several other times a year. If not for her, I never would have developed a love for it. Also, without her getting me 4 rolls of film to takes pictures the last day (or maybe that was Dad, thanks either way), this site also certainly wouldn't exist as I would have had too little to start with. Thanks Mom and Dad. Everyone who Responded positively to this website: I received a lot of positive feedback about the site. For this, thank you everyone. I would never have made it to this point without your words of encouragement. To anyone I have forgotten to give praise, thank you.